The T. rex was built for biting! It had a strong jaw and neck. Its large mouth held many curved teeth. The T. rex was the top predator in its habitat. 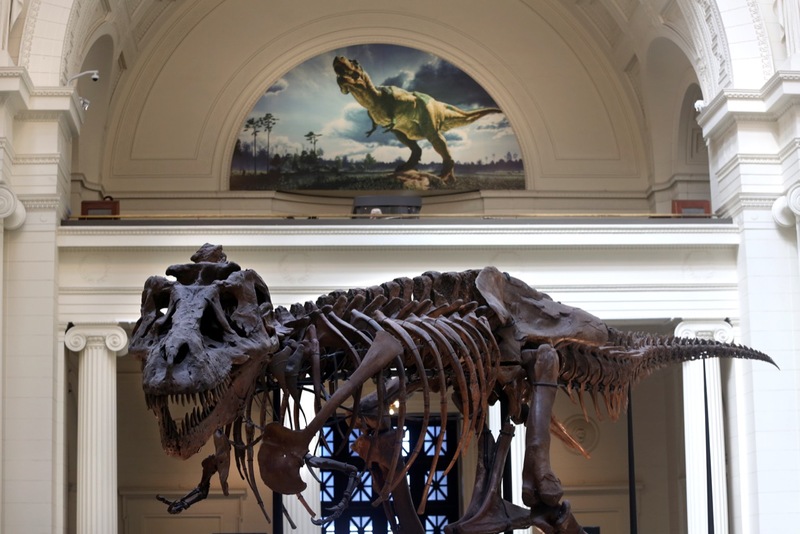 The most famous T. rex fossil is named Sue. It is kept in a museum in Chicago. 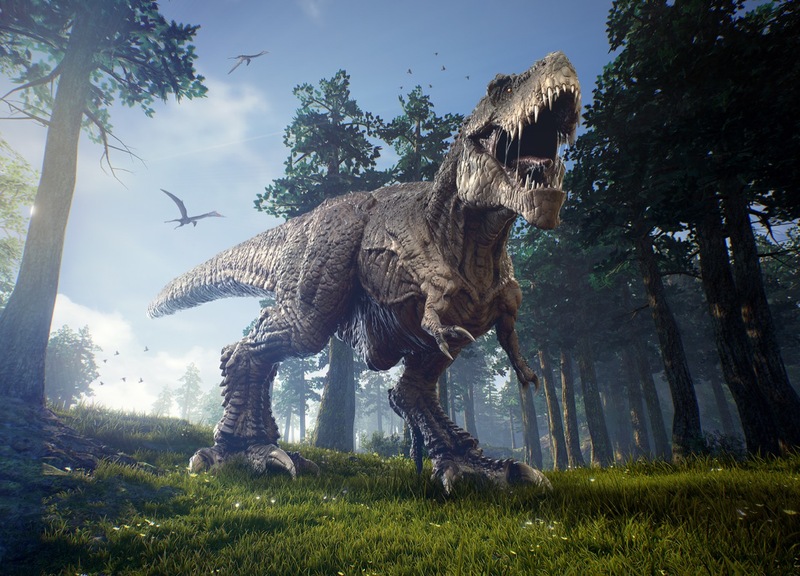 The T. rex had the most powerful bite of any land animal ever! Scientists have found T. rex bite marks on many other dinosaur fossils. 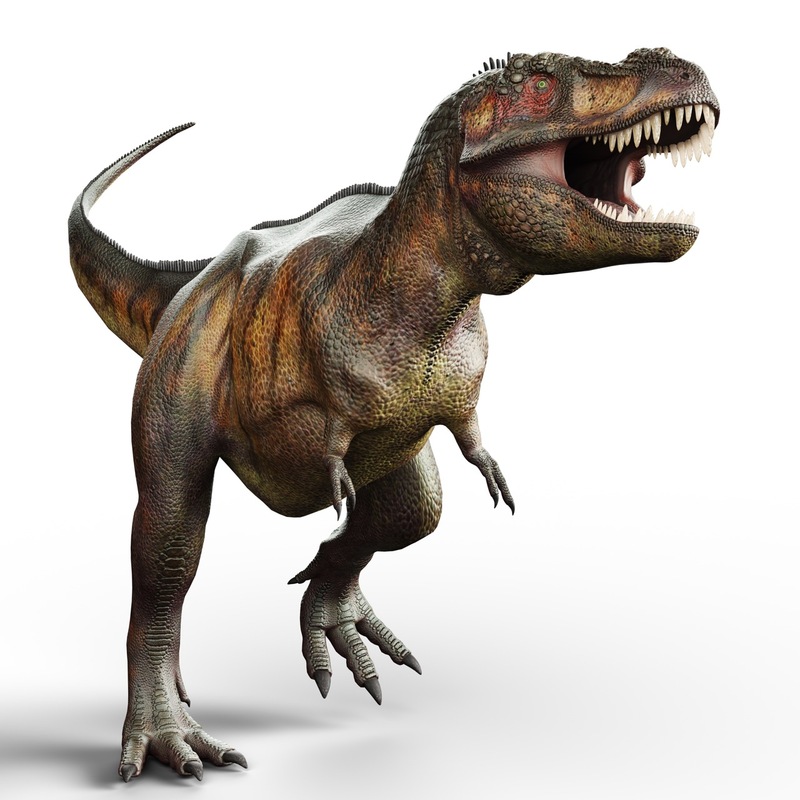 What did the Tyrannosaurus rex look like? The Tyrannosaurus rex is one of the most famous dinosaurs. It was famous for being very dangerous! The T. rex had a huge mouth. It held 58 large, sharp teeth! The T. rex had short arms. It had a thick tail. The tail helped it balance when it ran. The T. rex walked on two strong legs. Even its feet were dangerous. Each foot had three toes with claws. The T. rex grew to be about 40 feet (12 m) long. It was as long as a bus. It weighed 9 tons (8 tonnes). That is more than an elephant! Where did the Tyrannosaurus rex live? The Tyrannosaurus rex lived in North America. Its fossils have been found in Canada and the United States. In the U.S., its fossils come from Montana, North Dakota, South Dakota, Wyoming, Colorado, and Texas. The T. rex lived in forests, swamps, and open plains. The Tyrannosaurus rex lived long before the time of people. It was alive 67 to 65 million years ago. The time is called the Late Cretaceous period. The T. rex was one of the last dinosaurs to live on Earth. The Tyrannosaurus rex was a meat eater. It hunted plant-eating dinosaurs. 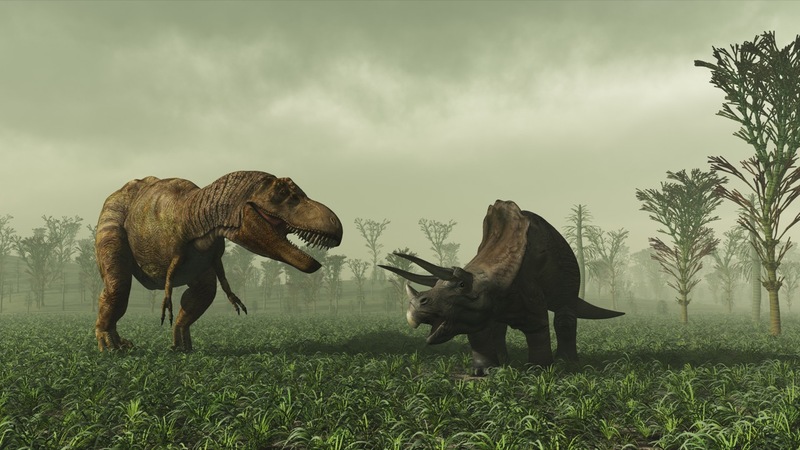 Its favorites were the Triceratops and the Edmontosaurus. The T. rex also ate dead animals that it found. This is called scavenging. The T. rex was a fierce hunter. Its powerful bite crushed the bones of prey. The T. rex was not very fast. It hid in the plants, then jumped out to catch prey. Even T. rex babies were hunters! They learned to hunt by catching insects, frogs, and small animals living along rivers. Scientists think the T. rex may have had feathers on its body. 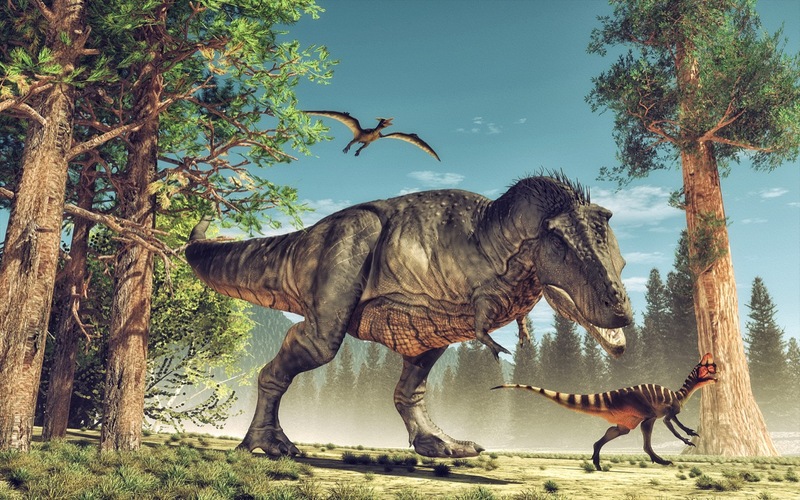 A T. rex could eat 500 pounds (230 kilograms) of meat in one bite! The T. rex had tiny, weak arms. Each had only two fingers. Scientists do not know if the T. rex used its arms for anything. The first T. rex fossil was found in Montana in 1902. Today, more than 50 T. rex fossils have been found. In 1993, T. rex footprints were found in New Mexico. "Tyrannosaurus Rex." Report Builder, Gareth Stevens Publishing, garethreportbuilder.com/article/1114/tyrannosaurus-rex. Accessed 24 Apr, 2019.